I thought it would be handy to have a reference for tyres that fit the various different wheels and whether or not we feel that they are any good, partly for general interest and also as a guide when looking for new ones. I've had the Pirellis on the back for about a year and I think they helped with road noise a bit vs the cheapo ones I had before, although I find that the rear wheel noise is generally quite loud regardless due to lack of insulation/deadening. No particular comment on performance/handling since I haven't driven on them much in the wet and I still have the cheapo ones on the front. Looking into changing them soon however. I tried Pirellis some years ago on 14" ES wheels, roadholding was good but they didn't last long. Now we have 15" Vesa wheels on all our cars and mostly on Yokohama Parada asymmetrical tyres 195/55 R15 85V. My ES has been on them for quite a few years, excellent roadholding and they've worn well. My turbo has wheels which came with a mix of Westlake and Marangoni tyres and the roadholding is OK but not great, so I'll be changing them for Yokohamas. I'm have four Goodyear Eco Contact Premium‎ on the E-reg car. It was previously running cheap nasties on the rear which had age hardened but I thought I'd try and stretch them until MOT time. I spun it on a roundabout a few years ago... I changed them immediately after that little incident! They seem to be good tyres. The 480 does get a good thrash quite often and I now have no complaints tyre wise. I think these were about £50/tyre, unfitted. D-reg car is about to run Avon ZT-5. I haven't driven it yet on these but I put four of these on my wife's Mini Cooper R52 and they quietened it down a fair bit and it grips very well. I'll report back once I've got an MOT on the D-reg car. The price was very very good at about £35/tyre, unfitted. After running a fair few hydraulic Citroens in the past, I have a soft spot for Michelin. The C6 has Michelin Primacy 3. I really wanted to put their Cross Climate's on the D-reg but w‎ith all the other expense getting it on the road, it seemed a bit extravagant. Regarding winter tyres, I had some on my Turbo when we had that insane winter a few years ago. They were brilliant for those few months when they were needed in the UK and I went right up north with them‎. I found that using the chart on this site, I could alter the tyre size and still by compliant with the Volvo manuals and get slightly skinnier tyres on Atlas rims. I went from the usual 185/60R14 to 175/65R14 for the winters as I figured skinnier was better and they were significantly cheaper. Sat on standard taurus turbo rims, in the Correct 195/55/15 and went for V rated (so good for 149mph - I can dream). The first that throws you, is that they're an asymmetrical tyre, so have inside and outside stamped on the tyre to make sure you fit them the right way. But then, when on the car, you think you've fitted them the wrong way, as the patterns seem to go in different diections. Thankfully, before you go back and start shouting at the garage, Uniroyal have a handy guide explaining it way better than I ever could. Highly recommended. Quiet, grippy - even in the dry. Wet? You seriously think I'm going to take a 480 out in the wet?? I moved from a mixed set to all for toyo proxes 15/55/185's and they transformed the handling. That said the chevron design throws a lot of water / filth up the sides of the car but I really like them, also very inexpensive at about £50esh. Always had a bit of a crush on the aysemetirc yoko's tho! Vredestein Sportrac 5 195/55-15 85H is what I have. I can take a roundabout at 50 km/h and the tyres won't even squeal. No winter tyres for me, though I don't fear the wet, the car won't see salted roads in winter. I've got Bridgestone Turanza T001 EVO 195/55 R15 H all round. Typically when it comes to tyres I default to Michelin/Pirelli/Goodyear in the forms of Supersports/P-Zero/Eagle F1. However, with none of these available in the right sizes I went shopping for something that was going to perform well year-round but still with a sports focus. 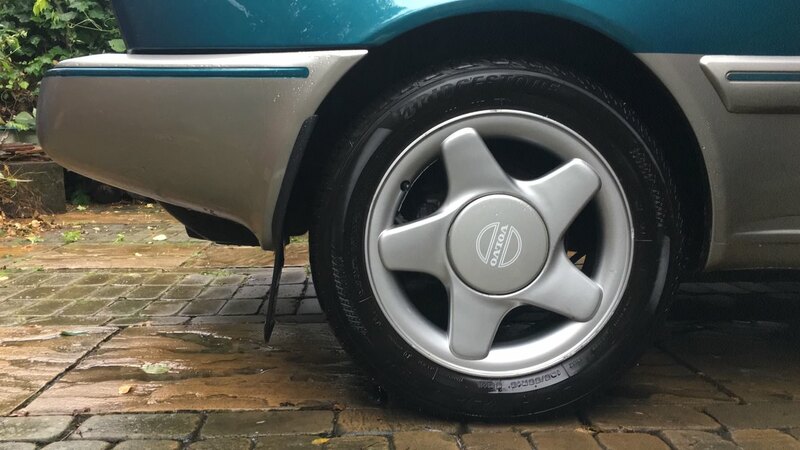 I thought the Toyo Proxes might not work so well in the wet but have no personal experience and would love to try some in the dry, not that I've experienced any understeer on these Bridgestones...yet! I've been running these for about 6 months and have no complaints so far, grip is fantastic.